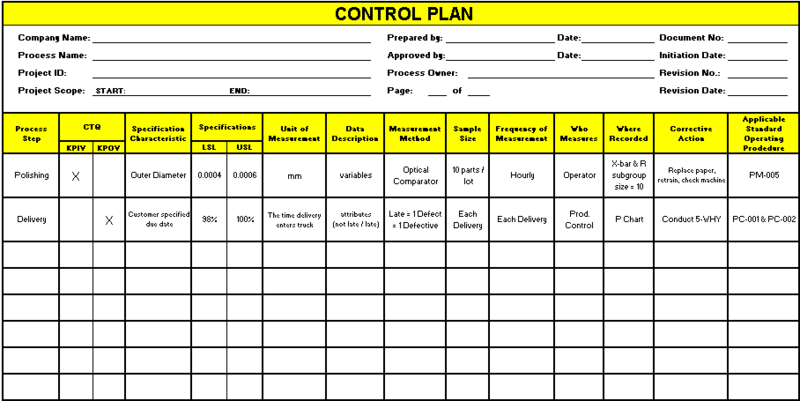 The Control Plan is a guide for the Process Owner to assist in tracking and correcting the performance of the KPIV's and KPOV's. Develop a thorough summary document to clarify the details around controlling the key inputs and key outputs. Once the project is closed it is not necessarily over. The Control Plan is one part of ensuring the gains are maintained. If process performance strays out of control there are details and tools to adjust and re-monitor to ensure there has not been an over-adjustment. It is possible that the new performance capability warrants the calculation of new control limits. If so, the test(s) used, evidence, and new control limits should also be a part of this document. It is ideal to have a simple one-page document but if appendices and attachments are needed to ensure understanding and control then include this information. Include all relevant material and information it takes to ensure the gains are sustained. Often times there are long-term action items and the project list (possibly utilize a Gantt Chart) shall be updated and followed by the Process Owner until those actions are complete. The GB/BB will often move on to another project after the team disbands but follow up is often required weeks or months later. The follow up is done in conjunction with the Process Owner and possibly the Controller. Adhering to the details of the Control Plan will standardize these efforts and allow quick analysis of current performance. Below is a simple example as a one-page document. It may be necessary to add or remove information to suit your team's needs. This template comes with a basic example and is available to purchase (along with other templates and calculators) by clicking here. 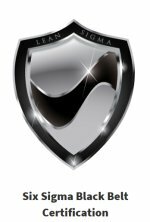 This module provides more detail about the development of an effective Control Plan. This step can not be underestimated and is the key to SUSTAIN the gains. Click here to purchase the Control Plan module and view others that are available.